There are thousands of websites & apps which provide numbers of wallpapers & backgrounds, creating an ambiguity to select the best of them for your screen. 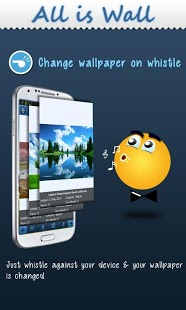 All is Wall is the app that gives you the good looking & attractive wallpapers those delight your eyes. We have also found some funny ways to change the backgrounds of your desktop periodically on your signs. 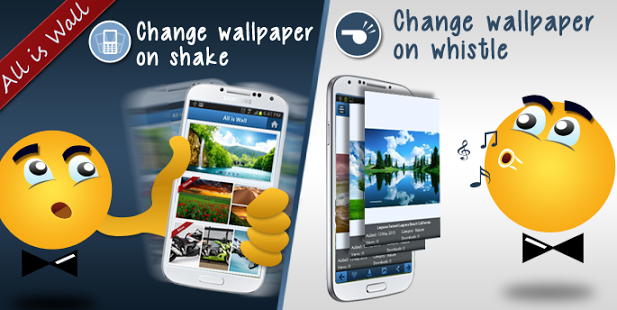 Another interesting way is changing the wallpapers by shaking your device. Just shake it & change it. You can also command them to change automatically at a specific time period starting from 1 minute to 12 hours. But how will you get all these wallpapers into your device. Just get into the app, select appropriate category & choose your favorite images to download into your phone or tablet. From these downloaded images, you can select any number of images to add them into the queue which is a set of images those should be shown on your desktop. You can find the on/off options for all the background changing services in the settings page. And if you like our app, you can rate it at the app store & can like & follow on the different social platforms. So, this is a beautiful app by WeeTech Solution to download and set backgrounds and wallpapers, no matter which device you use.